Matt Stevens could afford to joke. After all, he did get out of the jam. The jam was a leadoff double in the ninth, as Stevens tried to secure a 3-2 Reading win. A warning-tracker, pop up and strikeout and Stevens had the save and Reading had that May 1992 win, according to The Reading Eagle. "I just wanted to get a little excitement in the game," Stevens joked to The Eagle after the game. Stevens picked up that save, and that excitement, in his fifth season as a pro. That same year, Stevens got his first look at AAA Scranton. 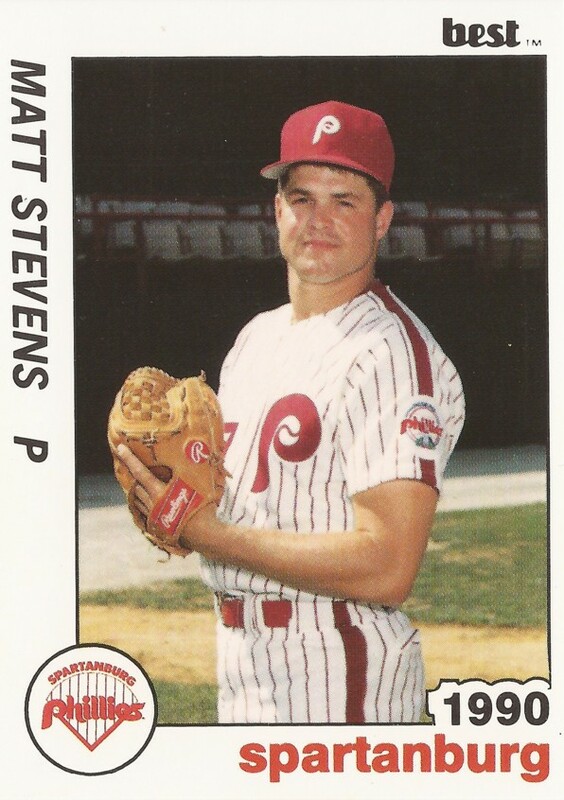 Stevens, though, never got his chance at Philadelphia, or the majors. He played just two more seasons. A native of Glens Falls, NY, Stevens' career began in 1989, taken by Philadelphia in the 29th round of the draft, out of LeMoyne College in Syracuse. Stevens started off at short-season Batavia, posting a 1.97 ERA in 16 outings. For 1990, Stevens appeared to move up quickly, starting at single-A Spartanburg, moving to high-A Clearwater and ending at AA Reading. Between the three levels in 1990, Stevens posted a 2.32 ERA, picking up seven saves. He picked up one of those saves in April with Spartanburg, throwing three hitless innings. Stevens then split 1991 between Clearwater and Reading, with a 0.91 ERA in 38 outings at Clearwater and a 3.57 ERA in 25 outings at Reading. 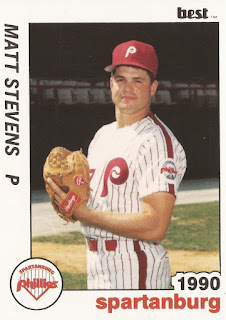 For 1992, Stevens played much of the year back at Reading, earning Phillies minor league Pitcher of the Month honors that May. He also got nine outings up at AAA Scranton, giving up nine earned runs in 13 innings of work. Stevens then moved to the Twins, playing 1993 at AAA Portland and 1994 at AAA Salt Lake. Stevens, though, never saw Minnesota. He played just one more season, seven games back at Salt Lake and the rest of the season for his hometown independent team, ending his career.